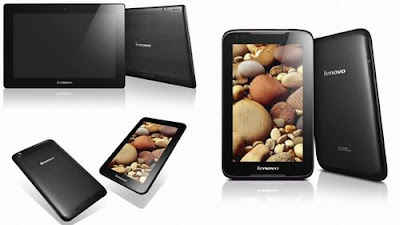 This is Lenovo's foray into the affordable tablet market, and is just currently available in the U.S. The A1000 has a dual-core 1.2GHz MediaTek MT8317 processor, with 1GB of RAM, 16GB of internal storage, one front-facing camera (the A3000 also has a 5MP camera on the rear) and support a microSD card. Both devices sport rather basic 7-inch 1024 x 600 resolution displays but do run the latest iteration of Android, Android 4.2 Jelly Bean. Tablet with no support for GSM voice communication, SMS, and MMS. This is not a GSM device, it will not work on any GSM network worldwide. The model operated well and we didn't have time to thoroughly test out how media rattled the dual core in the A1000. From what we saw apps and music playback were no problem for either. The Lenovo IdeaTab A1000 can be ordered from Lenovo’s website for just $149, with a promo code applied. Conventional dimmers use an electronic switching device to turn the voltage on 120 times every second in a 60-Hz system or 100 times every second in a 50-Hz system, varying the length of time the voltage is held on compared to the length of time it is held off. The duration of the on cycle, from 0 to 100%, determines the dimming level. This method of controlling the dimming level by varying the duty cycle of the voltage waveform is called phase-control dimming. In Figure below, the switch at the bottom of the illustration turns on and off twice during each cycle: it turns off at 0° and on at 45°, then it turns off again at 180° and on again at 225°. It repeats this sequence for every cycle of the voltage sinewave until the dimming level changes. Note that the switching in the negative half cycle mirrors that of the positive half cycle. 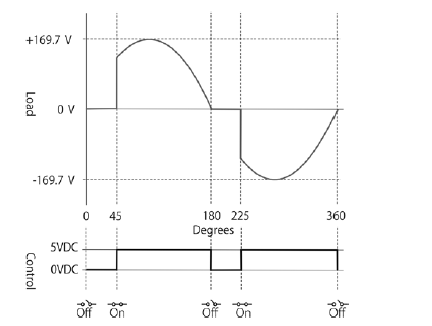 Otherwise, the voltage waveform will generate a DC offset, which can damage the components in the circuit. The switching device is either a triac or a silicon controlled rectifier (SCR). Both are solid-state switches that are controlled by a low-voltage control signal. The control signal originates at the lighting console, which outputs a low-voltage digital signal that is sent to the dimmer. The processor in the dimmer takes the output of the console and translates it to a timing signal that is referenced to the zero crossing of the AC voltage. That timing signal turns the switch on at precisely the right phase angle relative to the sinewave. 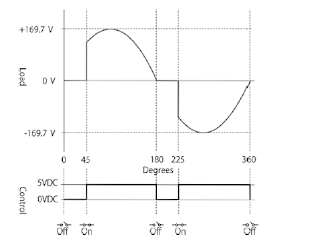 The voltage is turned on, and when the phase angle reaches 180° in the positive half cycle or 360° in the negative half cycle, the voltage goes back to zero and stays off until the next switching cycle. The resulting modified voltage waveform corresponds to a particular dimming level. A triac is a bi-directional switch, meaning it can conduct current in both the positive and negative directions. On the other hand, an SCR is a uni-directional switch; it can conduct in only one direction. In order to conduct for the full voltage cycle, dimmers that use SCRs have two devices connected in parallel and inverted in polarity. That way, the first conducts during the positive half cycle while the second is off, and the second conducts during the negative half cycle while the first is off. SCRs are more robust than triacs, and therefore dimmers with SCRs tend to be more robust than dimmers with triacs. On the other hand, SCRs are more expensive than triacs. When the voltage is switched on during the middle of the cycle, the current rises very quickly to catch up with the voltage. As a result, it produces a current spike and overshoots the level where it should be. dimming level is about half. To help mitigate this problem, a choke is placed in series with the load to limit the flow of current. A choke is nothing more than an inductor, soconventional dimmers present an inductive load to the supply. The larger the choke, the greater the inductive reactance and the more it slows down the current. The rise time is a measure of the effectiveness of the choke; it’s measured in microseconds, or μsec (10–6 seconds). The greater the risetime, the less mechanical vibration the filament experiences. In North America, inexpensive dimmers can have a rise time of about 80 μsec or less, and standard dimmers usually have a rise time of about 350 μsec. Improved performance dimmers have a rise time of about 500 μsec, and high-rise time dimmers have a rise time of up to 800 μsec. Of course, bigger chokes cost more to produce; therefore, high-rise dimmers are sold at a premium. They’re also heavier because they have more copper windings.